All magic classes and private lessons are based on availability. We offer private, 1-on-1 classes (classes can be arranged for 2 students as well), that take place on your schedule at The Magic Apple. We have a private classroom and the lessons are about an hour each and they are $75 ($125 for 2 people). If you'd like to get 5 private lessons, paid in full, it drops to $325 for all 5 lessons ($65 each), OR $500 for 5 classes fo 2 people. This price includes a deck of cards and entry passes to The Magic Castle!! All classes always include any materials that are needed (special decks, sponge balls etc...). 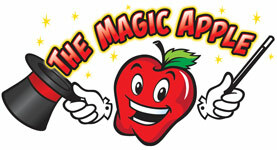 We have been teaching magic to both adults and kids for over 12 years. 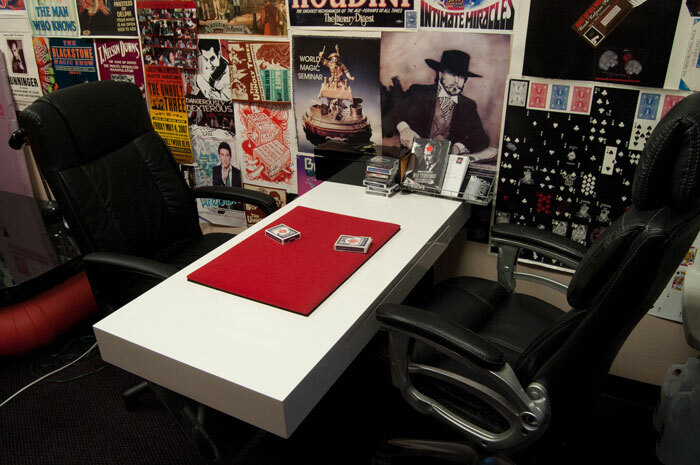 In class you will learn a bunch of great close up card tricks and sleight of hand. We also offer consulting lessons for TV and Film, as well as Illusion Rentals too (Add'l fees will apply). Consulting lessons are different and the fees are higher either on location or in store. If you buy the 5 packs for $325, you have a year to redeem all 5 classes. The money is due upfront before the 2nd class starts. You can reschedule up to 24 hours BEFORE a scheduled class, if you cancel a scheduled class within 24 hours of the class, you'll forfeit that class. Classes are held USUALLY on Tuesdays thru Fridays after 1pm. We'll work out a time that works for the both of us. Any props that are used & taught in class will be included in the price (Decks of cards, rubber bands etc...). Add'l materials can be bought if needed. Price is based on 1 person, add'l fees will be applied if more than one person is in the class.